You may return most new, unopened, and sealed items within 30 days of delivery for a full refund. 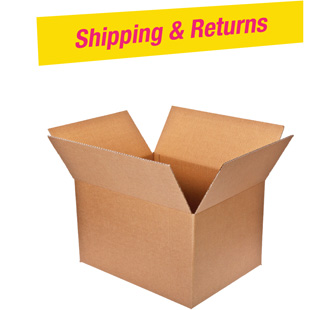 We'll pay the return shipping costs if the return is a result of our error (you received an incorrect or defective item, etc.). We will determine each return on a case-by-case basis to ensure fairness and customer satisfaction. In-house packaged products (such as Body Oils, Burning Oils, Essential Oils, Holistic Herbs & Products, etc.) that may not have a seal or can be altered cannot be returned for a full refund. We ship to billing addresses ONLY! We can ship to virtually any address in the US. For destinations outside the US, please email or call us directly (see contact info tab). Note that there are restrictions on some products, and some products cannot be shipped to international destinations.